Kat Stays Polished | Beauty Blog with a Dash of Life: Multi-blogger Lorac MEGAPro Palette Giveaway! Hello friends! 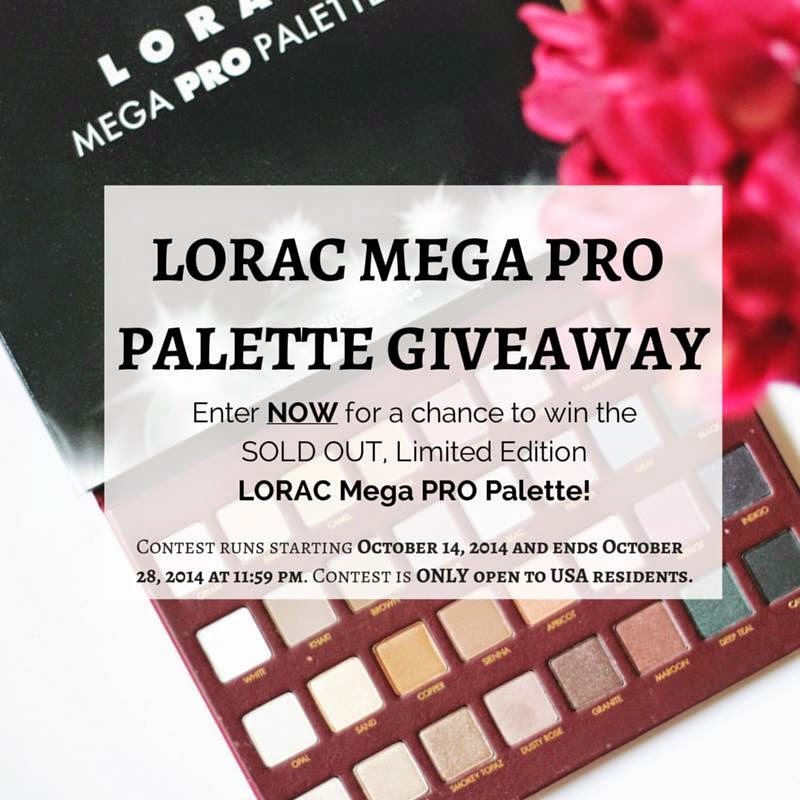 Want to win the Limited Edition Lorac MEGAPro Palette for yourself? Then enter below! A few of us bloggers have come together to give one away! This giveaway will run for 2 weeks and end at 11:59 p.m. on October 28, 2014. US Only - good luck! I did all the tasks except one - the bloglovin follow button for make-up addict isn't working for me.